If your town or city is not listed here, but is in the surrounding areas, please contact us to find out if we are available. 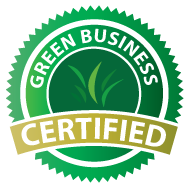 When Girls Gone Green cleans your office or commercial space, we guarantee a safe, healthy, and spotless working environment. Our environmentally friendly residential and commercial cleaning services ensure that the air and all surfaces are free of toxins. Using all non-toxic, biodegradable cleaning products is beneficial to the well being of your employees and clients. Wash and disinfect counters, cabinets, appliances, etc. Additional cleaning tasks can be added upon arrangement. Please contact us today for a free Girls Gone Green Cleaning service estimate. Environmentally friendly commercial cleaning services for offices and other businesses located in Salmon Arm, Vernon, Sicamous, Sorrento, Enderby and Armstrong, British Columbia. Girls Gone Green believes in creating a healthier world one positive action at a time. We're doing this by choosing chemical free, environmentally friendly cleaning products every time we work in your home or office.